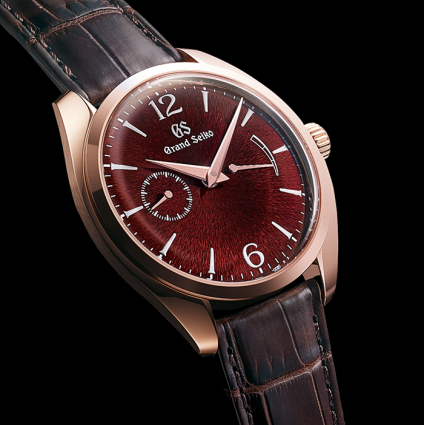 Grand Seiko Elegance Collection A new manual-winding caliber. A new slim profile : Dress Slim. A new slim design in the Elegance Collection. The combination of a new case, a new manual-winding caliber with a small seconds hand and Urushi lacquer has made possible the creation of a watch that offers a new graceful refinement as well as Grand Seiko’s uniquely Japanese aesthetic. In this new Urushi dialed creation, which is available in two versions, two traditions of Japanese craftsmanship come together. The pure, understated and subtle design aesthetic of Grand Seiko is evident in every detail, as is the skill and care taken by the watchmakers at the Shizukuishi Watch Studio where the watch is made. The cases are polished by a special Zaratsu method created to accentuate the beauty of the curved surfaces. The dials and the sapphire crystals are also curved to give the watches a classic look. The dials showcase a second form of Japanese craftsmanship, Urushi lacquer. The amber color dial is made from a transparent and long lasting Urushi that comes from trees grown in and around the town of Joboji that lies under Mt. Iwate, the mountain that dominates the skyline above the Shizukuishi Watch Studio. Through this amber colored ‘Suki-urushi’ lacquer can be seen the subtle Mt. Iwate pattern that reveals the watchmakers’ pride in the natural beauty that surrounds their home. The black dial uses the same lacquer mixed with iron to give it its distinctive deep jet black color. On both creations, the hour markers and the ‘’GS’’ letters are decorated with the traditional Maki-e technique by Urushi master Isshu Tamura in his studio in Kanazawa on the west coast of Japan’s main island. Through the application of layer after layer of lacquer, these markers are given a three dimensional profile and a delicate yet strong presence on the dial. Tamura then applies the powder, either 24k gold or platinum, and then polishes them by hand using his own special tools to give Maki-e its delicately shimmering appearance. These processes require great dexterity as it is very challenging to give every marker the same depth, especially on a curved surface. Born in 1957, Isshu Tamura trained in the traditional Kaga Maki-e gold lacquer technique of Kanazawa. After honing his skills in the technique, Mr. Tamura set out to produce unparalleled original works of art. 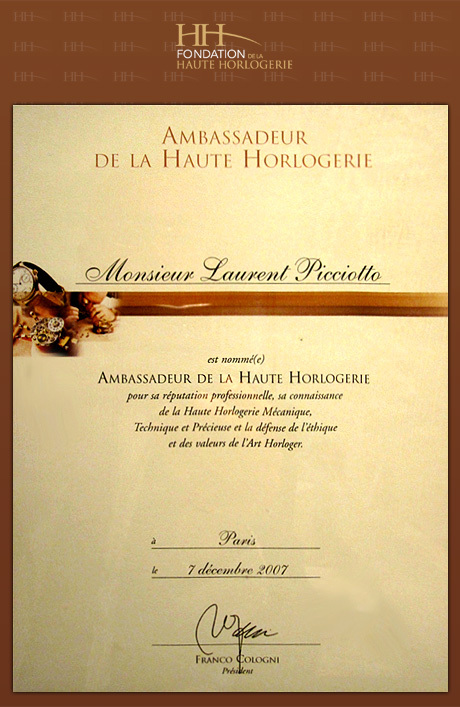 He has executed his technique in Kaga Maki-e not only in lacquerware, but also in the creation of luxury fountain pens and wristwatches which have received worldwide acclaim for their elaborate detail and fine beauty.